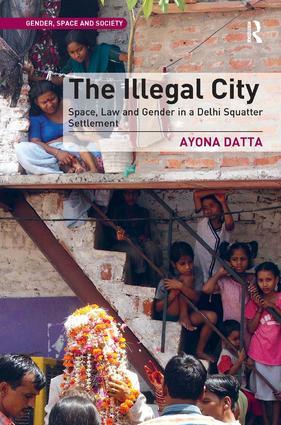 The Illegal City explores the relationship between space, law and gendered subjectivity through a close look at an 'illegal' squatter settlement in Delhi. Since 2000, a series of judicial rulings in India have criminalised squatters as 'illegal' citizens, 'encroachers' and 'pickpockets' of urban land, and have led to a spate of slum demolitions across the country. This book argues that in this context, it has become vital to distinguish between illegality and informality since it is those 'illegal' slums which are at the receiving end of a 'force of law', where law is violently encountered within everyday spaces. This book uses a gendered intersectional lens to explore how a 'violence of law' shapes how 'public' subjectivities of gender, class, religion and caste are encountered and negotiated within the 'private' spaces of home, family and neighbourhood. This book suggests that resettlement is not a condition that squatters desire; rather something that is seen as the only way out of the 'illegal' city. The wait for resettlement is a temporal space of anxiety and uncertainty, where particular kinds of politics around law, space and gender takes shape, which transform squatters' relations with the state, urban development, civil society, and with each other. Through their everyday struggles around water, sanitation, social and political organisation and the transformation of their homes and families, this book shows that the desire for the 'legal city' is also the irony and utopia of home, which will remain an incomplete gendered project - both for the state and for squatters. Contents: Introduction; Law, space and subjectivity; Violence of urban development; Construction of squatter settlements; Beoming 'illegal' urban citizens; 'Legitimate' social organization; Contested boundaries of infrastructure; Legitimate domesticities; Visions of the future; Bibliography; Index. Ayona Datta is a Senior Lecturer in Citizenship and Belonging at the School of Geography, University of Leeds, UK.